If you love to cruise for the food, you are not alone! 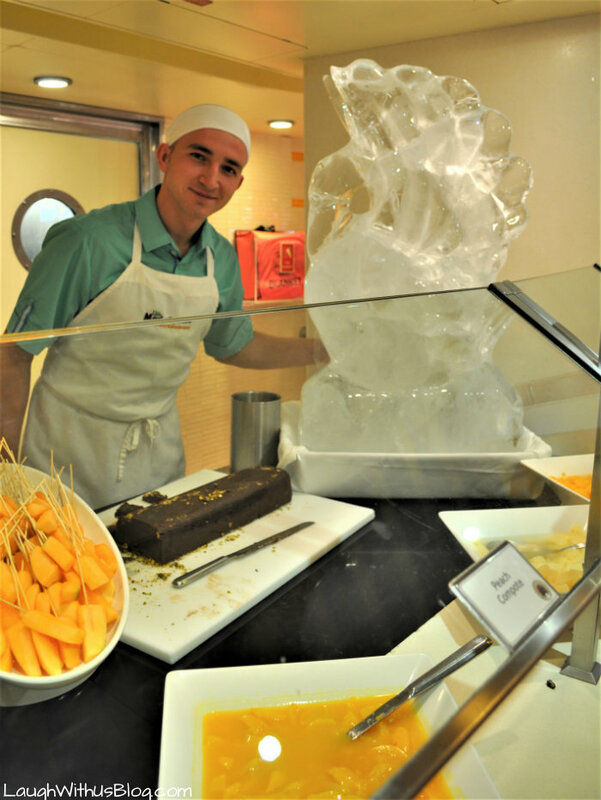 With 24/7 amazing choices Carnival Breeze is food heaven for sure! There are so many options. 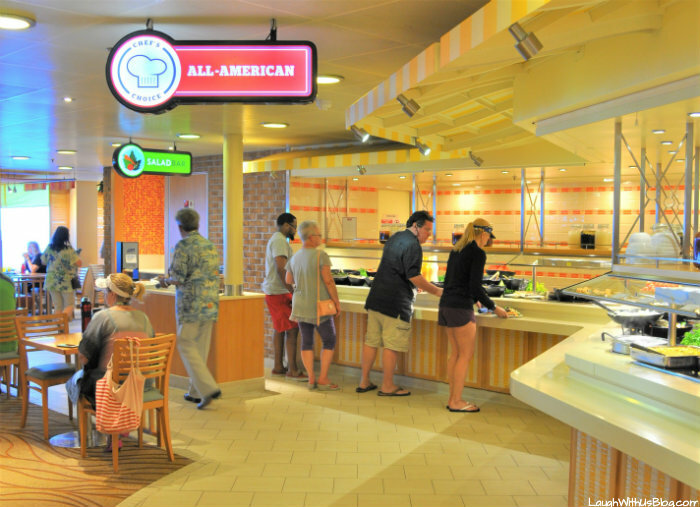 When you aren’t in the mood for a fancy sit down meal, Carnival Breeze Lido Deck Dining has everything you need! Here are our favorites. 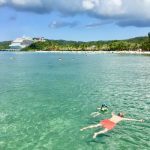 Carnival provided our family with one of their cruise packages. All the fun and opinions are my own. Y’all Guy’s Burgers are all that! If you’ve heard the hype, it is not exaggerated. With all the delicious food available on Carnival, my husband had to have at least one Guy’s Burger every day. He looked forward to it. His cruise day just wasn’t complete until he’d had his burger. There are several varieties on the menu to choose from or just order it how you like it. My husband wasn’t the only one that raved about Guy’s, my girls loved them too and Grace still talks about the FRIES! My favorite was the BlueIguana tacos! When I’ve cruised before I have really missed some good Mexican food, but Carnival has taken care of that, because BlueIguana does tacos right. Choose your meat. 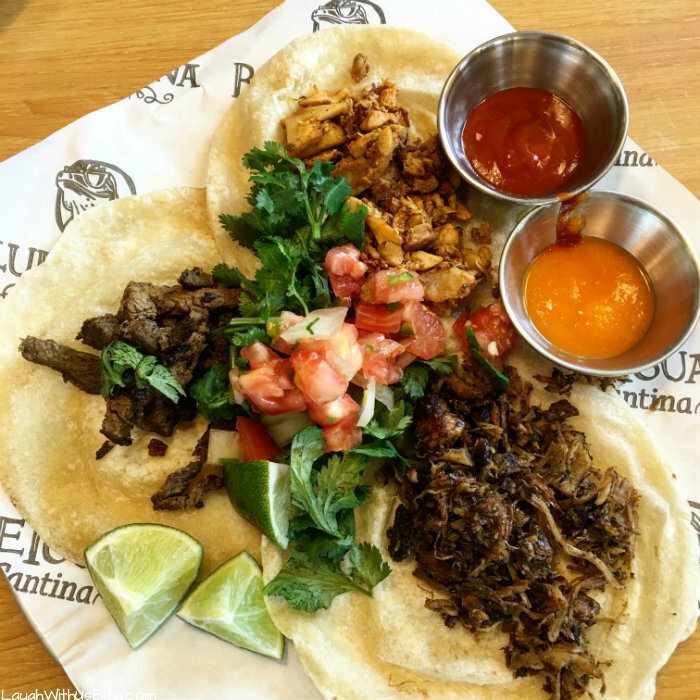 I’m usually a corn tortilla girl, but the flour tortillas at BlueIguana are made fresh while the corn are not, so flour tortillas all the way. And then load your tacos any way you like them at the salsa bar, so good! BlueIguana also serves burritos. Think 24 hours a day pizza y’all! And this isn’t so-so pizza, it’s fantastic hand tossed thin crust made perfect. Whether you go Pepporoni or try one of the specialty pizzas like Margherita, Funghi, Prosciutto, or Quatttro Formaggi you’ll keep going back for more. We sure did! The pizza was Joy’s favorite on the Lido deck, but we all loved it! My younger kids’ favorite thing was perusing the Lido Restaurant buffets to pick out what looked tasty to them. Besides a huge variety of American favorites there is also Tasty Spot–your stop for all things sweet, Mongolian Wok, Chef’s Choice, Salad Bar, Carnival Deli, and the huge favorite soft serve and frozen yogurt that is open 24 hours a day. 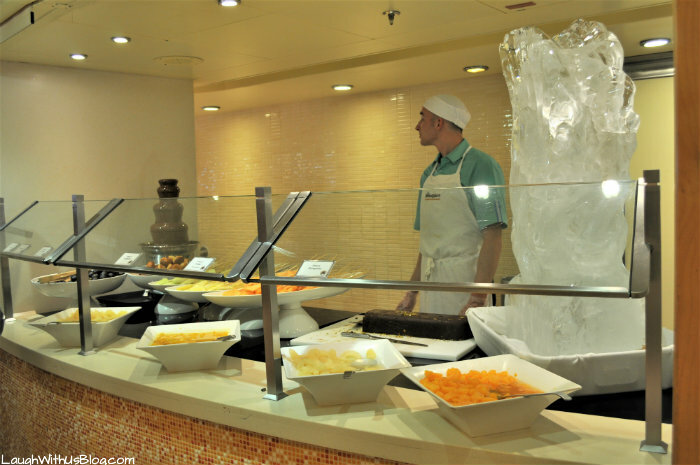 The last day of your cruise you will not want to miss the Lido LUNCH Buffet. Arrive early. No one wants to miss this special buffet and you will see lines. It was fun to see the ice sculpture! 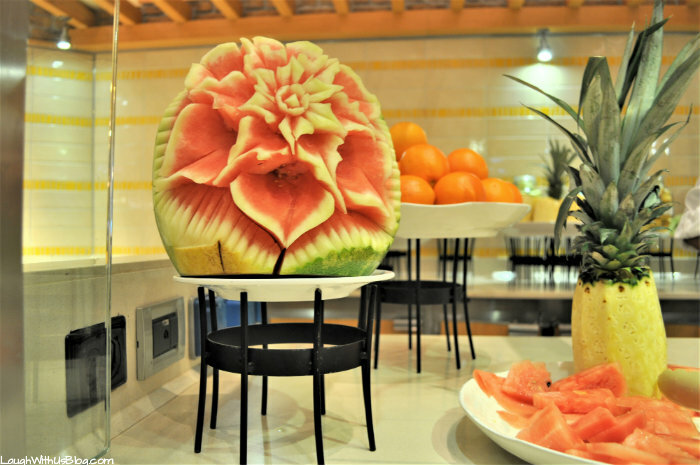 And something new for me was the watermelon sculptures. Aren’t they gorgeous? 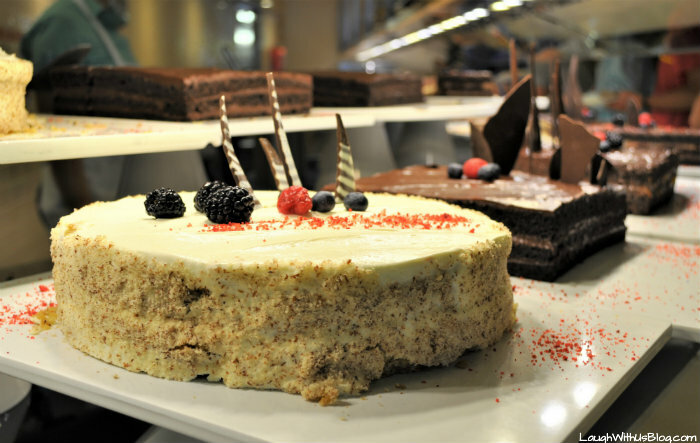 And while you will find desserts each day, on the last day there are just so many beautiful and tasty cakes, cookies, and candies to choose from. There isn’t a lot of fanfare announcing this dinner so make sure you don’t miss it! 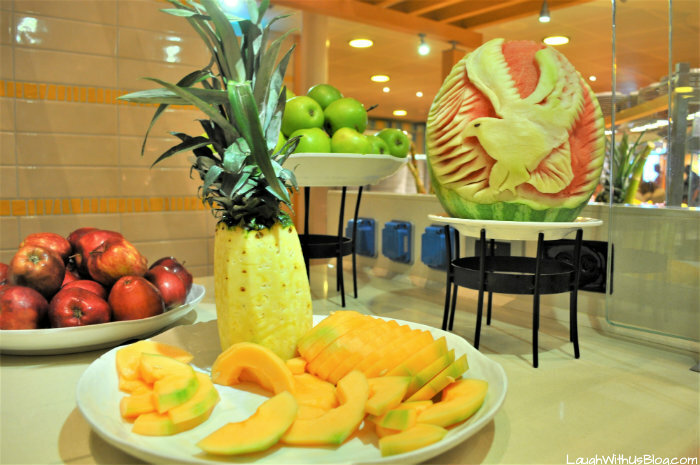 These were our favorites on the Lido deck! What are your favorites? 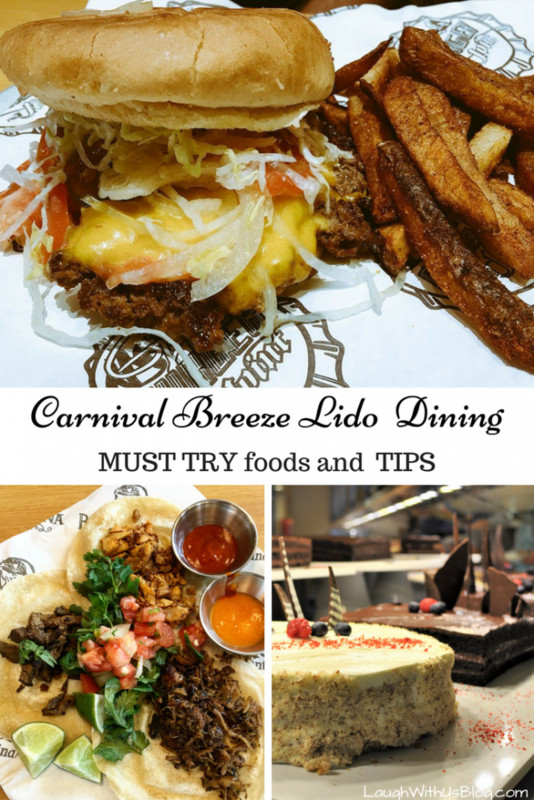 You will dine well on your Carnival cruise! 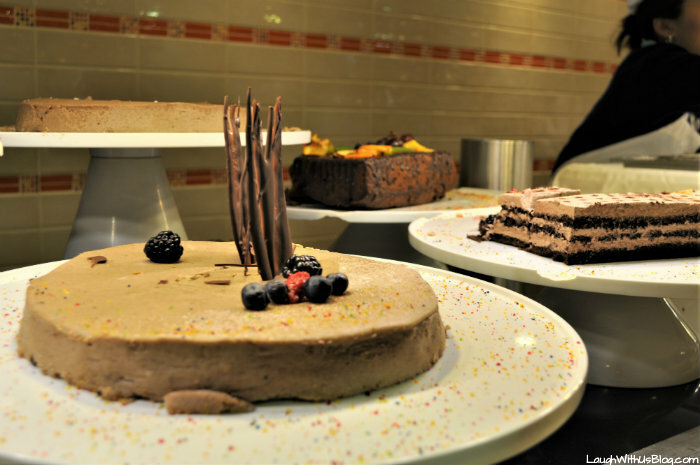 You will also want to check out the specialty restaurants! 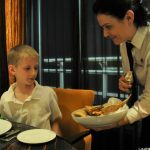 See our articles Fahrenheit 555 Steakhouse Carnival Breeze, Cucina del Capitano with kids, and Green Eggs and Ham Breakfast. 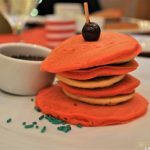 Plan your foodie cruise>>> Carnival Cruise. 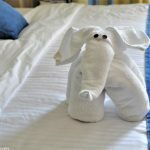 This is one of the reasons I love Carnival Cruise Lines. 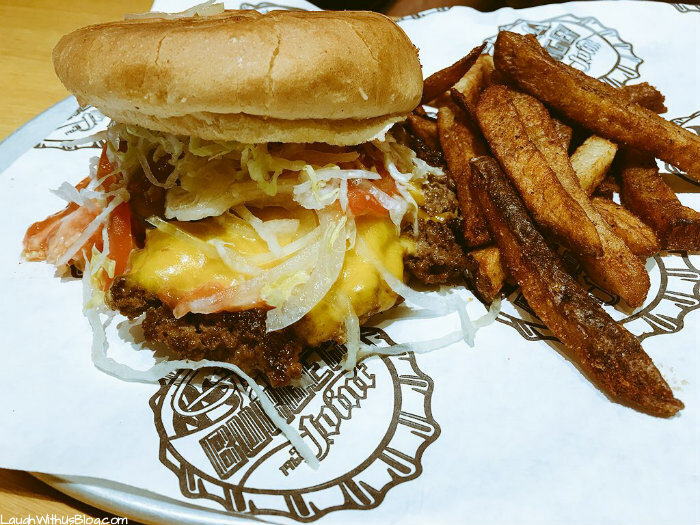 I’m always down for a good burger or some tacos. They definitely do food well! 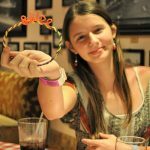 I love cruising Carnival, and dining like this is one reason why. When Carnival does it, they do it up right. I had no idea that this was even an option. WE MUST GO ON A CRUISE! This is the reason why I am fancying a Carnival cruise. I mean, look at those sculpture and dishes. Looks amazing! It’s incredible! It’s a great way to travel and feel pampered. We love cruising but it has been years since we have done so. I remember the watermelon sculptures being remarkable, too! They must have been doing them a while then! I didn’t remember seeing them before. There ya go. 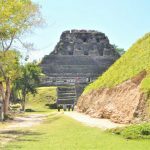 There’s so much to see and do, you never see it all the first time! I think the only reason I agree to vacations is for the food consumption. I have to get on this cruise, the food alone has me sold. I would totally gain weight on this cruise. How could you not sample everything?! lol We did the stairs whenever possible and tried to keep active, but yes we all gained a little. 🙂 The food is amazing.